Prof. Guntae Kim (School of Energy and Chemical Engineering) is posing for a portrait at his lab. 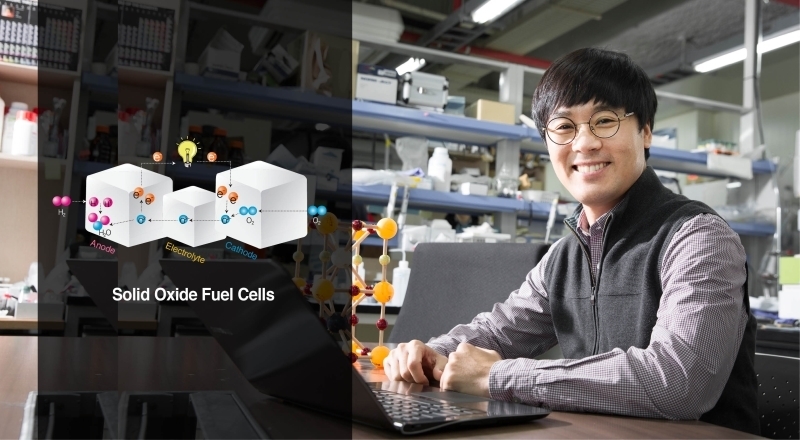 A UNIST researcher Dr. Guntae Kim (School of Energy and Chemical Engineering) has been honoured with the Minister’s Award, granted by the Ministry of Industry Trade and Energy (MOTIE). This was awarded to him on July 10, 2015 at the 11th Industrial Technology Award of the Month ceremony. 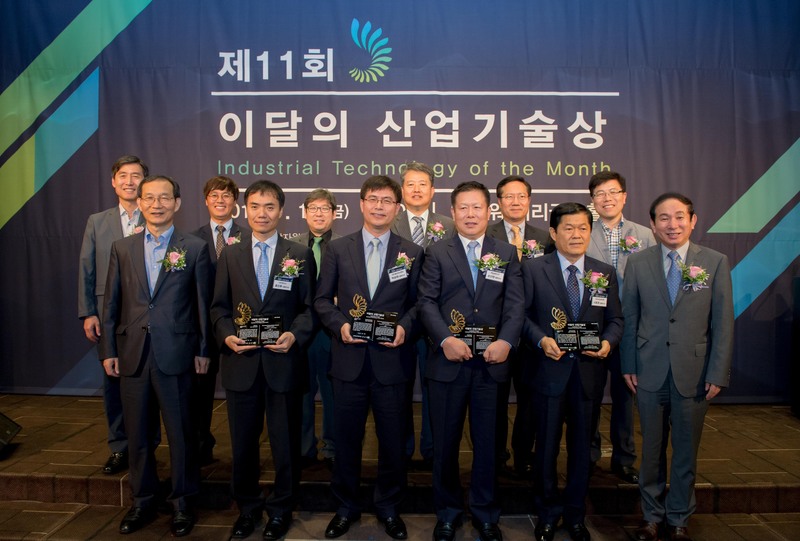 Industrial Technology Awards of the Month is an award, granted to researchers and entrepreneurs who get monetary support from MOTIE and succeed in new technology development and industrialization. While Solid oxide fuel cells (SOFC) have been considered as one of the most energy efficient and environmentally-friendly energy conversion devices, they also have a number of disadvantages regarding their longevity and performance level. To eliminate such limitations, researchers at UNIST, including Dr. Kim have been working hard to improve the reliability and endurance of full-size cells with the ultimate goal of transferring technology that facilitates commercial adoption of acceptance of SOFC devices. 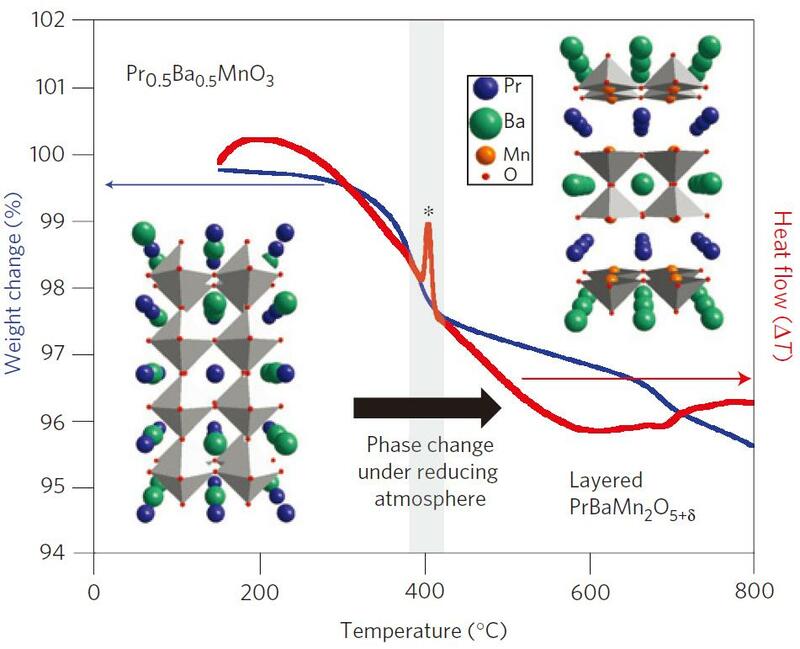 Overcoming such drawbacks, Dr. Kim’s research team succeeded in expanding the energy efficiency of a fuel cell by applying this newly-developed multilayer oxygen-deficient double perovskite material, known as PrBaMn2O5+δ (PBMO). 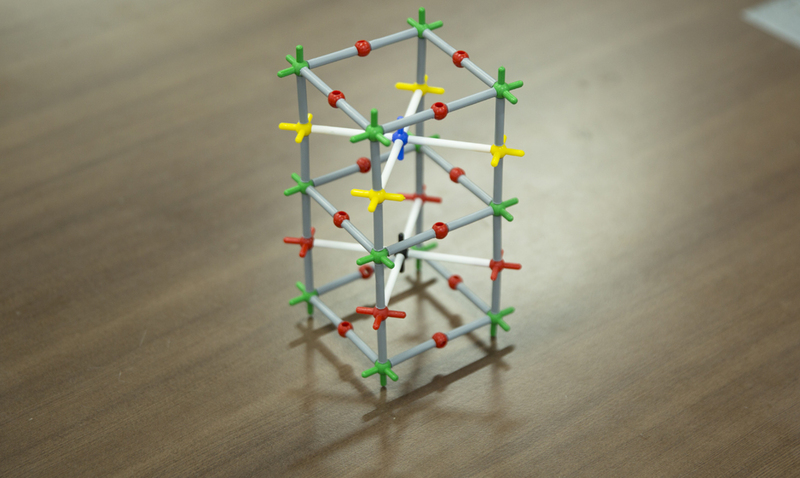 This way, they could demonstrate good redox stability with tolerance to coking and sulphur contamination from hydrocarbon fuels. This achievement led Dr. Kim’s research team to have over 5 relative patents publish 28 SCI papers in the top-ranked journals, including Nature Materials. Over 5 patents are now being licensed from the research as well.